Next Saturday 19th March at 10:30, Toastmasters and guests from all over Finland shall meet at the University of Helsinki for the association’s annual speech contest[i]. This is a marvellous opportunity to get acquainted with Toastmasters and the possibilities it opens for you. It is also the occasion to listen to an enlighting speech by our keynote speaker. 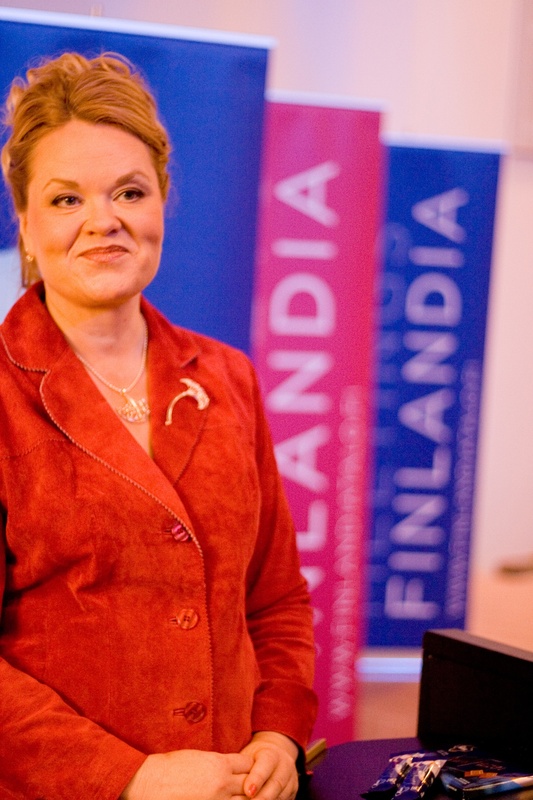 This year, we are privileged to have Cristina Andersson, a Finnish educationalist, coach and singer who will take the stand to tell us about ” How to perform a winning speech”. It couldn’t be more appropriate under such circumstances, isn’t it? I met with Cristina Andersson at Café Aalto in Helsinki to discuss about her self-improvement and learning organizations management book called ”The Winning Helix – the art of learning and manifesting your true potential” (in Finnish ”Voittava kierre”, WSOY) . “The Winning Helix” is not a pure theory book about action-learning but is built upon Cristina’s experience of learning how to sing opera and her dialogue with her teacher and coach. It is besides full of beautiful quotes. – What does winning mean and is winning important? – My definition of winning is “unique personal achievement and experience” rather than the more aggressive connotation of it. We have to learn to trust our cognitive system so as to prepare ourselves to the best of our ability, then, when the moment has come to give a speech or a concert for example, you have to let it happen, you have to let it flow. Your focus will be only on what is happening not on learning anymore. There is a form of concentration when we perform which I call alertness. It is twofold: alertness turned outwards (towards your audience for example) and concentration: inwards (inner knowing and total control). Winning, is important because it gives upheaval to your learning process and offers you unique moments of personal achievement. Vincit qui se vincit! concept of “optimal grip”: ”When the learner obtains an optimal grip on his learning process, he is totally involved in it and he is able to learn and act without representing a goal; that is – the process has become part of the learner and outer motivation is no more needed – the learner has optimized his grip on the process” (p.57). Learning however seems to always start with a challenge, as the book demonstrates”. – Learning is challenging ourselves. In my case, for example, I started to sing in 1991. I had never sung before, now I am preparing for an audition in Bayreuth and have launched a learning ecosystem dedicated to singing. In learning terms, I went from my initial volition to sing (I want to sing) to materializing it by intention (I will sing) as it is described in “the Winning helix” my book. In practical terms, it all comes down to putting your dreams into motion and develop ”success routines”, to creating your own personal learning system and environment. – As the former editor of the Jokerit newsletter, you had the opportunity to approach and interview many hockey professionals and your book is full of examples from sports life. When is an athlete a winner? 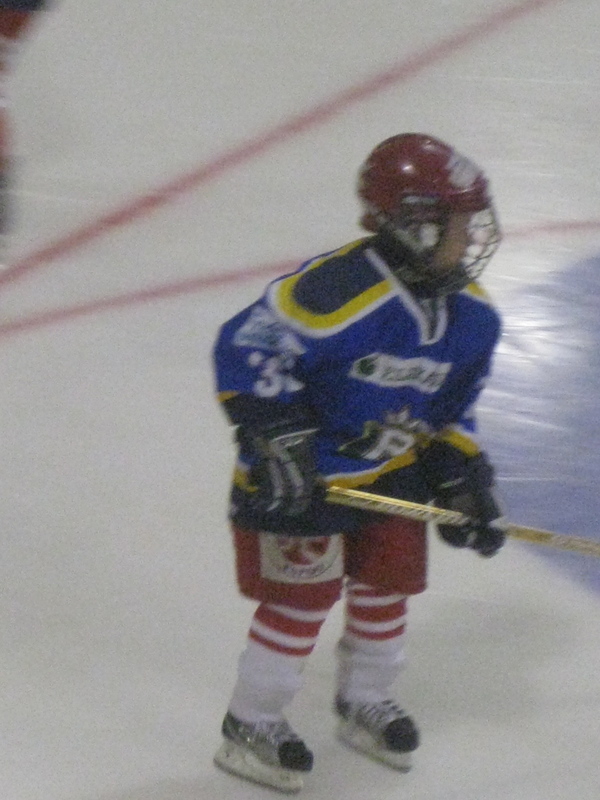 – My interviews of several dozens of hockey and other sports professionals led me to conclude that what they enjoy most in this sport is the feeling of speed and the physical contact resulting from their fight for the puck. Barry Smith, coach assistant for Detroit Red Wings, said there is a mental price to pay to be a winning athlete however: you have to accept to regularly push your limits to the extremes, during training time and during the matches. – An athlete is a winner not only because he properly prepared technically and tactically but also because he has developed the ability to perform under specific stress circumstances. Is dealing with such specific stress part of the learning process? – Learning is an action-oriented process. The title of my book is coming from the detailed observation of the DNA structure, where learning and action constitute the double helix of the learning-action process. When we are performing, be it a match, a speech or in a concert, we have to mobilize the energy circulating beyond this double helix. The main issue however, as I earlier said, is to prepare with both teachers – they teach you a skill – and coaches – they teach you how to use your skill. When you are well prepared, there is no such thing as stage fear and after sharing something with an audience it has become a friend anyways. – Cristina you are also one of the directors of the poetry marathon in Lahti. Could you tell us few words about this event? – There is a poetry week (runoviikko) and a poetry festival taking place in Lahti every two years. It is dedicated to Finnish and international poetry, over its 28 years of existence the marathon has contributed to the collection of about 55 000 Finnish poems – which is only 5000 poems less than those collected by Elias Lönnrot for the Kalevala. The marathon is open to professionals as well as to non professionals. Be our guest this Saturday and give yourself the possibility of improving your communication and leadership skills a try.